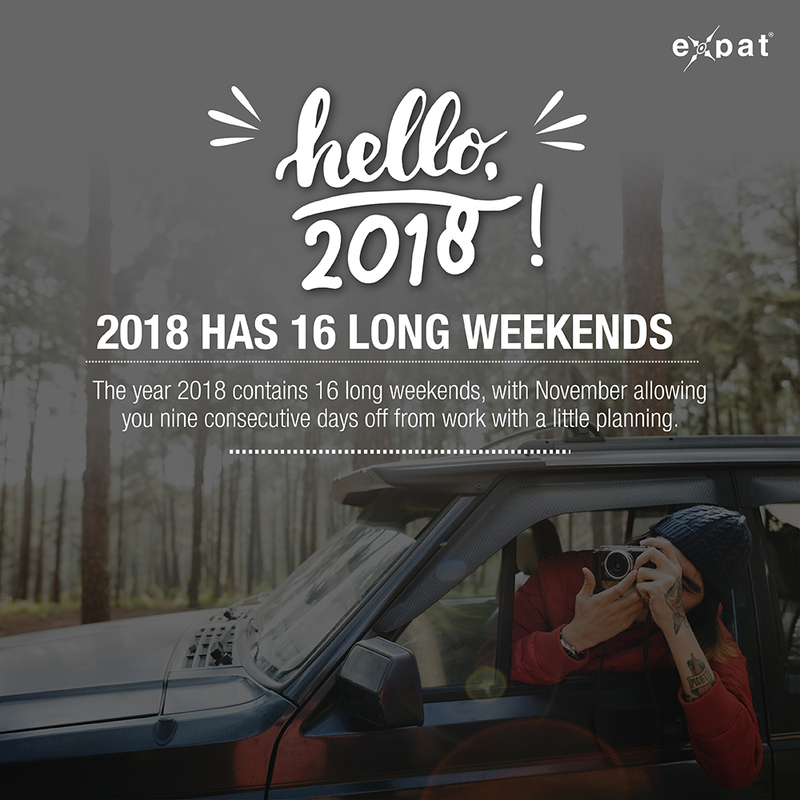 The Expat Compass: 2018 Has SIXTEEN long weekends ! January: Kick off the celebrations in the third weekend, with 20th (Saturday), 21st (Sunday), and Basant Panchami on Monday. The following weekend starts on Friday, with Republic Day on 26th. February: How about Saturday, Sunday, Monday, Tuesday being no-work days? You’ll need a little help from your boss to pull this off: 10th (Saturday), 11th (Sunday), 12th (Monday, take leave), 13th Maha Shivratri. March: Two bumper long weekends again. 1st (Thursday, Holi), 2nd (Dhuleti), 3rd (Saturday), 4th (Sunday). Then in the last week of March, 29th is Mahavir Jayanti, 30th is Good Friday, followed by Saturday and Sunday. April: The last week of the month is bliss, with Buddha Purnima (Monday, April 30) and Labour Day (Tuesday, May 1) making it ideal for some time away from the city. June: After a dry May comes some respite in June, with Eid ul-Fitr on Friday the 15th making the third weekend of the month a bit more relaxing. August: Always our favourite month for holidays, with Mumbai’s monsoon at its peak. After a dull July, enjoy consecutive extended weekends from 15th (Independence Day), 17th (Parsi New Year), 18th (Saturday), 19th (Sunday). This is followed by Eid ul-Adha on 22nd, Onam on 24th, and of course Saturday (25th) and Sunday (26th). Note: You can make it a 12-day holiday if you take leave on 16th (Thursday), 20th (Monday), 21st (Tuesday) and 23rd (Thursday). September: Starts with a bang (1st, Saturday, 2nd, Sunday, 3rd Tuesday, Janmashtami). Then Lord Ganesha arrives on the 13th (Ganesh Chaturthi), followed by Saturday (15th) and Sunday (16th). We are sure you can manage a leave on Friday, September 14. October: Dussehra month, but celebrations kick off from September-end (September 29, Saturday, September 30, Sunday, October 1, take a leave, October 2 Gandhi Jayanti). Dussehra celebrations begin with Ram Navami on the 18th, Dussehra on the 19th, followed by Saturday (20th) and Sunday (21st). 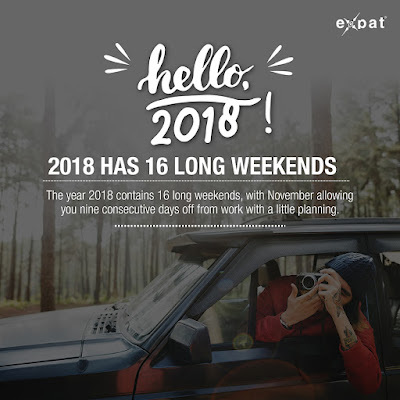 November: Diwali month, and the best in terms of no-work days. Here’s how: 3rd (Saturday), 4th (Sunday), 5th (Monday, Dhanteras), 6th (Tuesday, take a leave), 7th (Wednesday, Diwali), 8th (Thursday, Laxmi Puja), 9th (Friday, Bhai-Duj), 10th (Saturday), 11th (Sunday). December: The weekend on 22nd and 23rd is followed by Christmas. Hey, you might want to check Sparsh Chalets for great weekend getaways !